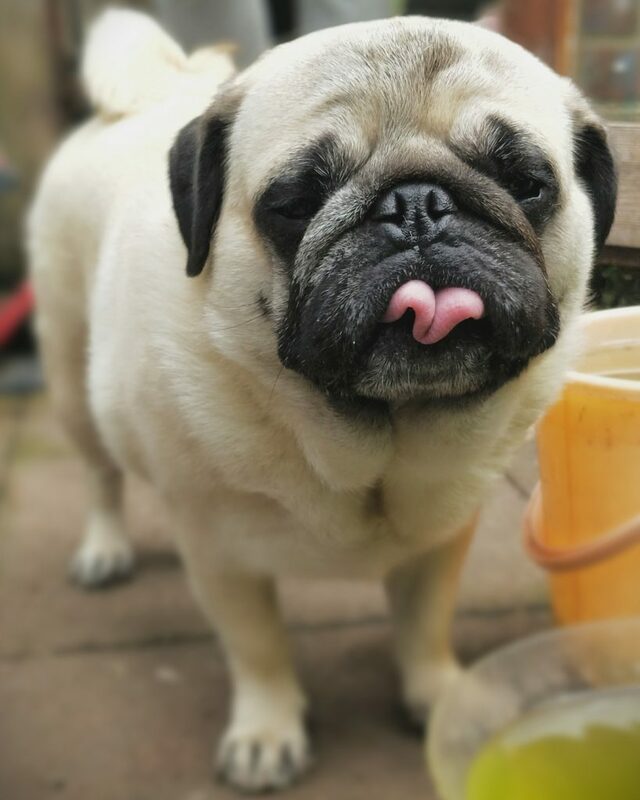 We like rewarding ourselves (and our pug!) for waking up early on a Saturday morning by enjoying a mid-morning snack after breakfast. 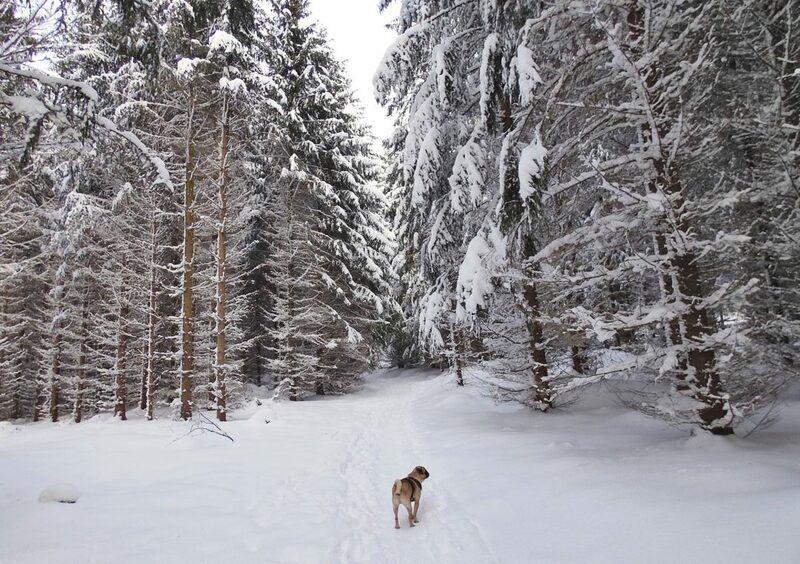 This is especially true in the winter when we’re feeling like all we want to do is eat and hibernate until spring. Grab a tasty treat, and have a snack-tactic Saturday! Nickie is having an extra sleepy Friday morning here! After her breakfast and a trip outside, she’s back to snuggling in her warm bed and getting ready for a morning nap. Ah, if only our daily schedule could be more like hers! On a cold winter day, getting motivated to be productive is tough! 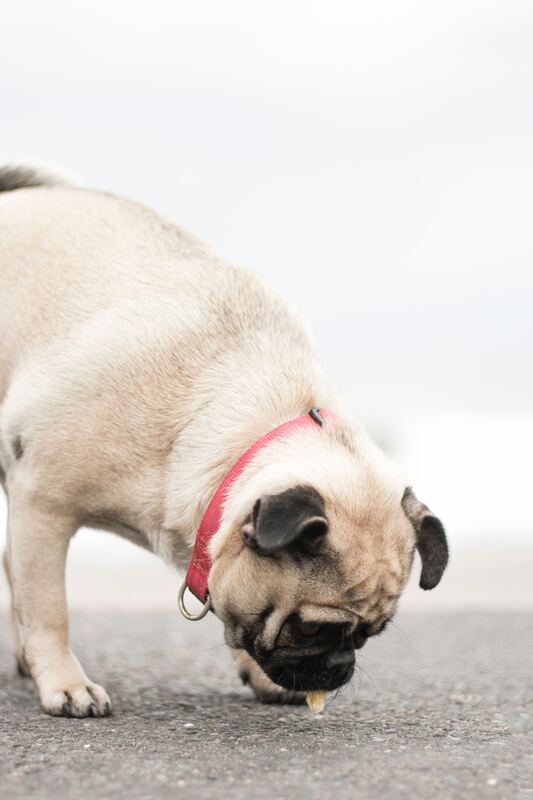 It looks like this pug has found the perfect solution to keep away the wintery chill, and we’re ready to do the same. 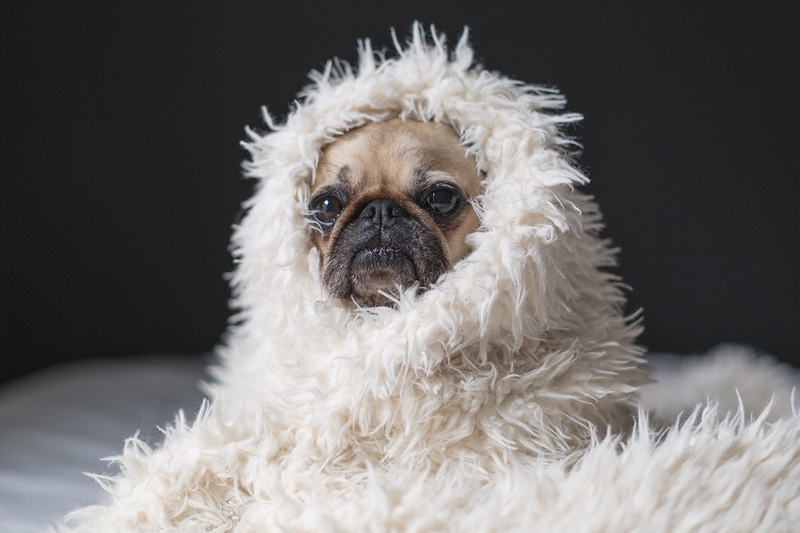 We’ll be snuggled up in our favorite blankets until the snow melts, thank you very much! Time to play with all the new toys! 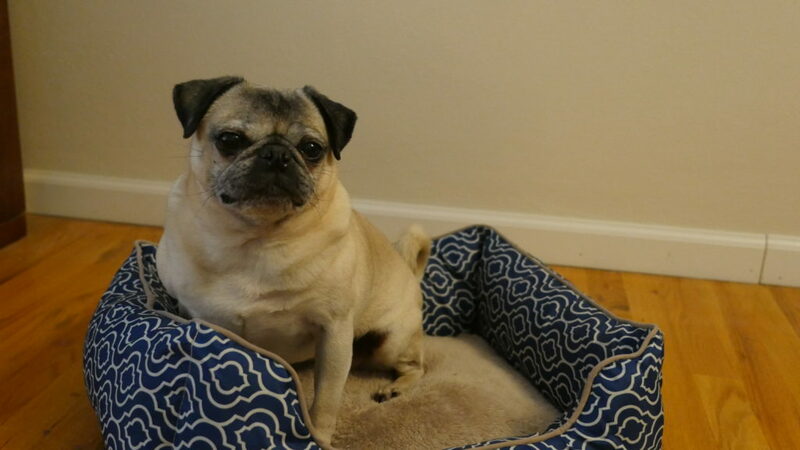 Nickie the pug slept well last night in preparation for another full day of fun! 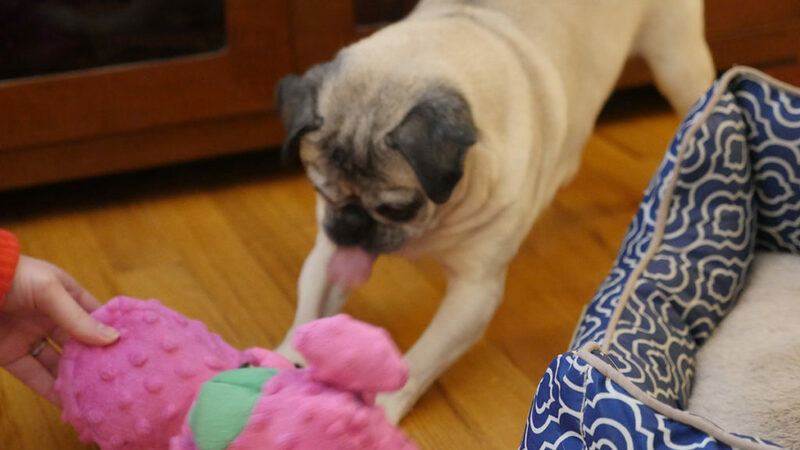 She’ll be spending today continuing to play with all of her new toys, and she’s already hard at work! 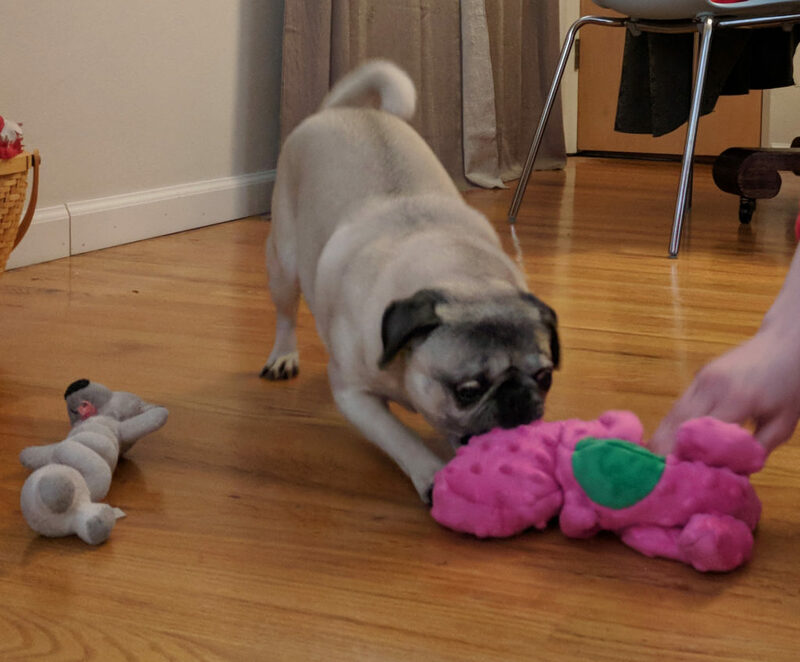 We love spending the holidays with our friends, family, and favorite pugs, but getting back in the swing of things after the mad rush and exciting festivities of the holidays isn’t easy. This pug knows how tough it is when you know you have to get back to work after a long holiday weekend, but you just don’t feel like it. Maybe it’s time to adopt the strategy of easing into the new year, and really tackling things in January! Nickie was excited to leap out of bed this Christmas morning to sniff out her presents under the tree! We couldn’t resist the opportunity to dress her up in festive attire for the occasion. 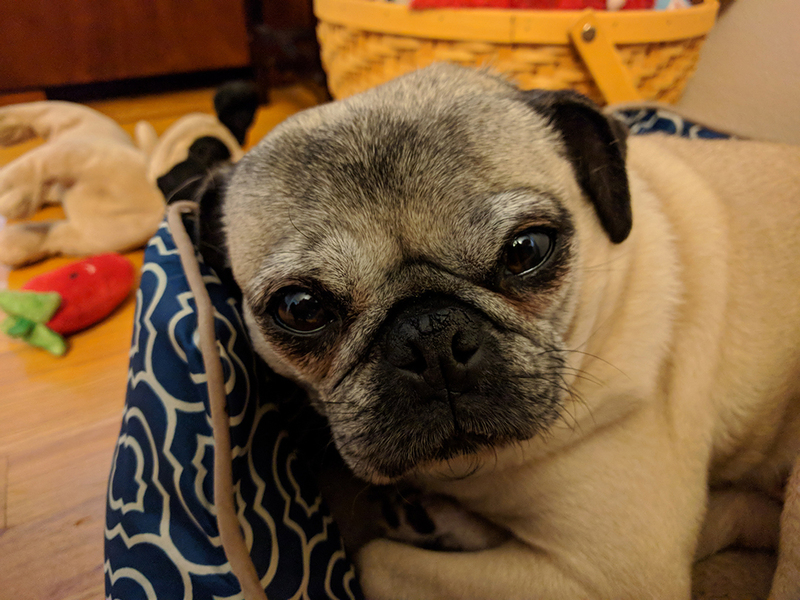 She has been very good this year, and we were impressed that she was able to sit still long enough for us to snap a few photos of her. 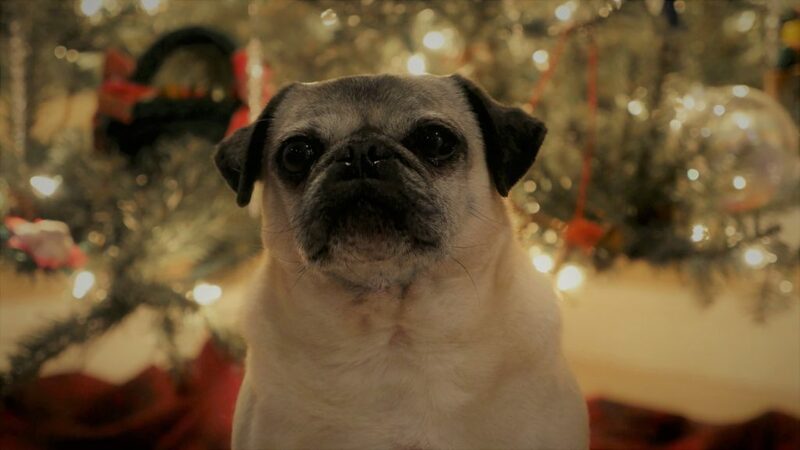 Nickie would like to send everyone warm wishes for a Christmas full of love, laughter, and tasty treats! 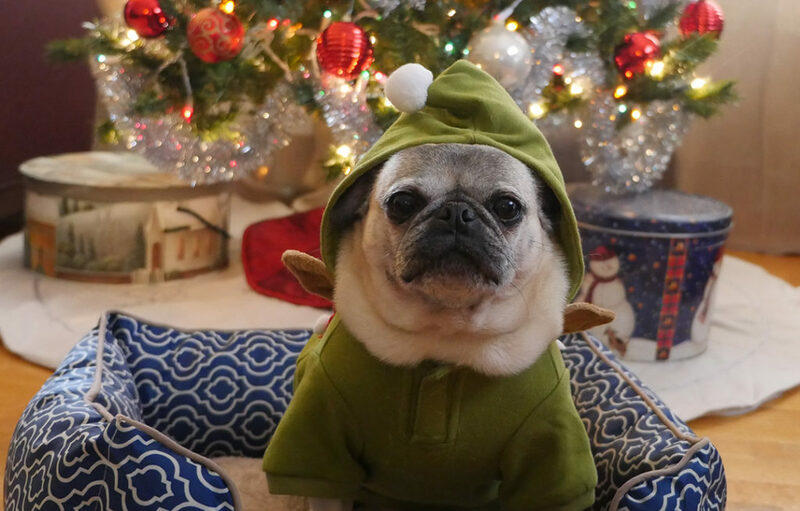 Santa’s helper pug is ready for action! 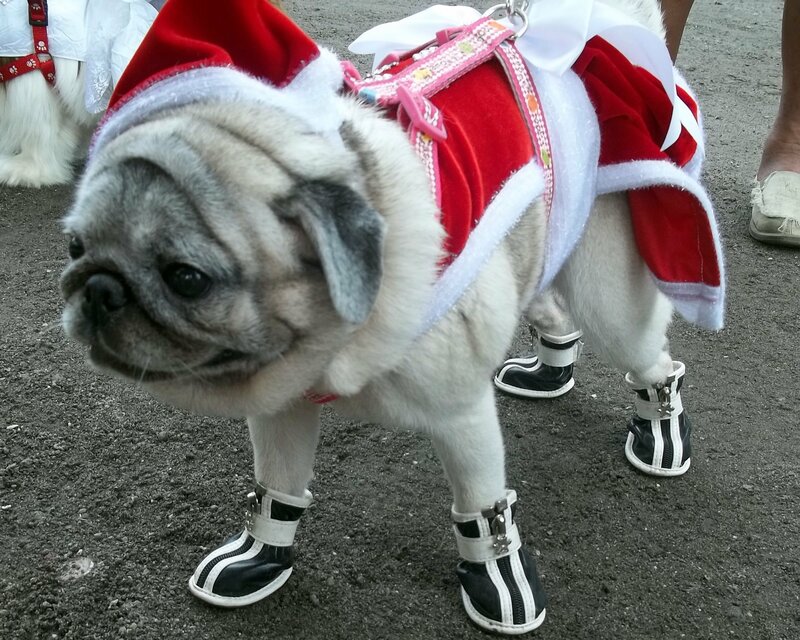 With her festive costume and cozy boots, it looks like this pug is ready to celebrate Christmas! Bring on the sleigh bells, winter wonderland, and (most importantly) more cookies!